I am very thankful Family Friendly Gaming was provided a download code for Ocean Runner on the Nintendo 3DS. This hand held video game is selling for $2.99, and it has plenty of things in common with apps. Families complete little missions and then level up. There are special items, as well as upgrades available in this endless runner that happens to be under the sea. Ocean Runner looks bright and colorful. The ocean has different areas that will change when you can last long enough. The visual special effects look fantastic in Ocean Runner. The sounds are nice to hear in Ocean Runner on the Nintendo 3DS. The aquatic theme fits Ocean Runner perfectly. The comic book screens that tell the story are neat to see in Ocean Runner. The stylus is how we control our fish in Ocean Runner. Touch the screen ad move to the right to move your fish to the right. The same thing applies to going to the left in Ocean Runner. The controls are fast and flawless in Ocean Runner. Tapping the right bumper or the left bumper provides a speed burst. Which are needed in certain areas to get through without taking a hit. 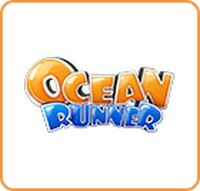 I had fun playing Ocean Runner. The more I played it, the more I enjoyed it. It is a game that can be played for a few minutes or for a much longer period of time. The big graphics, bold colors, and great sounds help Ocean Runner become a success. Ocean Runner is the kind of a downloadable only video game that I would love to see sold in the physical copy format. Ocean Runner is safe for all ages of the family. Your fish will run into things like coral reefs, other fish, and more in Ocean Runner. I noticed they were comical like when my fish hugged an electric eel. If you are into online leaderboards then you will appreciate that option in Ocean Runner. Teyon continues to make great games for families. Ocean Runner is the latest one.